The National Assembly of State Arts Agencies (NASAA) held its 2018 conference in Baltimore, November 1-3. 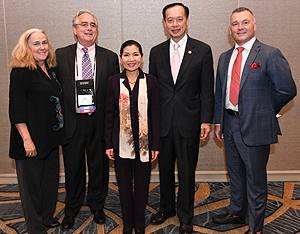 The conference attracted more than 350 delegates from the nation’s 56 state and jurisdictional arts agencies who had the opportunity to explore Baltimore while sharing new research and best practices for using the arts to strengthen communities. “As First Lady and an artist, I am so proud of Maryland’s incredible and thriving arts community which continues to be a tremendous asset for this state," said First Lady Yumi Hogan. "The arts are a $1.3 billion dollar industry in Maryland, supporting more than 16,000 jobs. I am passionate about the importance of educating and inspiring the next generation of young artists and committed to being a strong, tireless advocate for the arts here in our state and across the country." During NASAA, attendees learned about Maryland’s creative economy, visited Baltimore's state-designated Arts & Entertainment Districts: The Bromo, Highlandtown and Station North. The iconic American Visionary Art Museum hosted an opening reception, and the Assembly featured appearances by Maryland arts leaders, including the First Lady and Christopher Bedford, Director, Baltimore Museum of Art. There were also performances by Maryland artists, including the Bachelor Boys, Todd Marcus, Cris Jacobs, and Akua Allrich. Deputy Secretary of Commerce Ben Wu was also on hand to address the assembly. 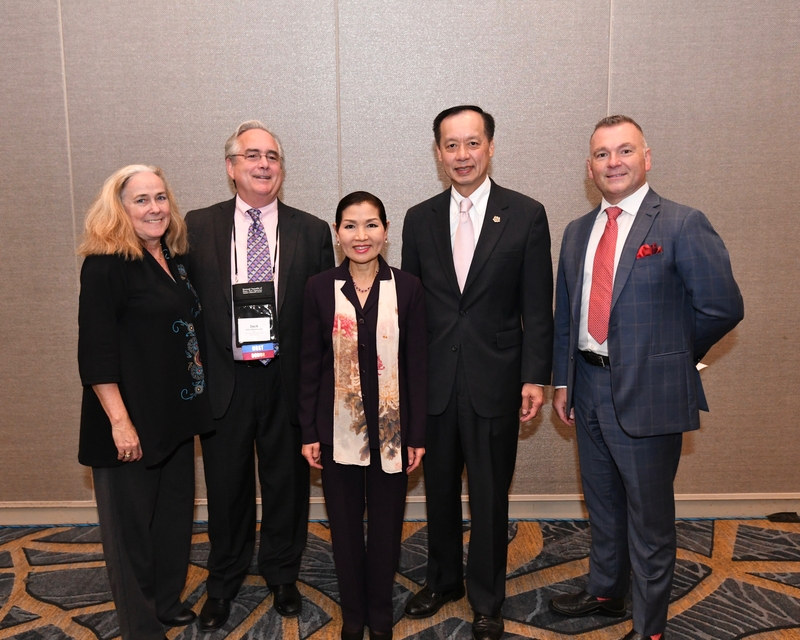 Pictured: Liz Fitzsimmons, Managing Director, TFA; Jack Rasmussen, Board Chair, MSAC; First Lady Yumi Hogan; Ben Wu, Deputy Secretary of Commerce; Ken Skrzesz, Executive Director, MSAC. 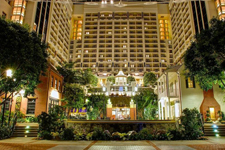 The Maryland Tourism & Travel Summit (MTTS) kicks off next Wednesday, and runs November 14-16 at the Hyatt Regency Chesapeake Bay Resort in Cambridge. The summit, now in its 38th year, attracts more than 250 attendees who engage with a variety of keynote speakers on industry trends, discuss legislative trends during the Tourism Town Hall, participate in interactive learning sessions including off-site educational tours, and enjoy MTC’s annual awards gala celebrating the achievements of our tourism professionals. The Summit also has raffle prize opportunities for participants to win once-in-a-lifetime experiences, VIP tickets, posh getaways, golf outings, and feasts for foodies. For more information and to register, follow this link to mdtourism.org. 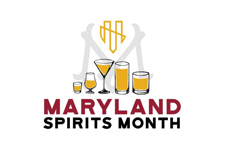 November is the inaugural Maryland Spirits Month, a celebration of Maryland’s burgeoning craft distilling industry. With more than 100 brands on the market, Maryland is barreling back with a full range of craft spirits, signature cocktails, and, of course, a resurrection of the state’s iconic Rye tradition. To find out more about tastings, events, and hotel packages, visit the Maryland Spirits Month page at VisitMaryland.org. There’s nothing like coming home to Maryland for the holidays, but this year, why not make that homecoming a little sweeter with just a bit of space? OTD’s “Home For the Holidays” campaign encourages travelers to get the best of both worlds: great times with family, and the ease and comfort of a hotel stay. Sure beats sleeping in your nephew’s race car bed! OTD and its partners have developed hotel packages, and OTD will be supporting the effort with digital advertising and a social media campaign. For more information about “Home For the Holidays” hotel packages and more, follow this link. 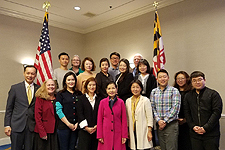 OTD, along with our DMO partners and Capital Region USA (CRUSA), have welcomed media and industry from seven important international travel growth markets to Maryland for fall FAM tours since September. 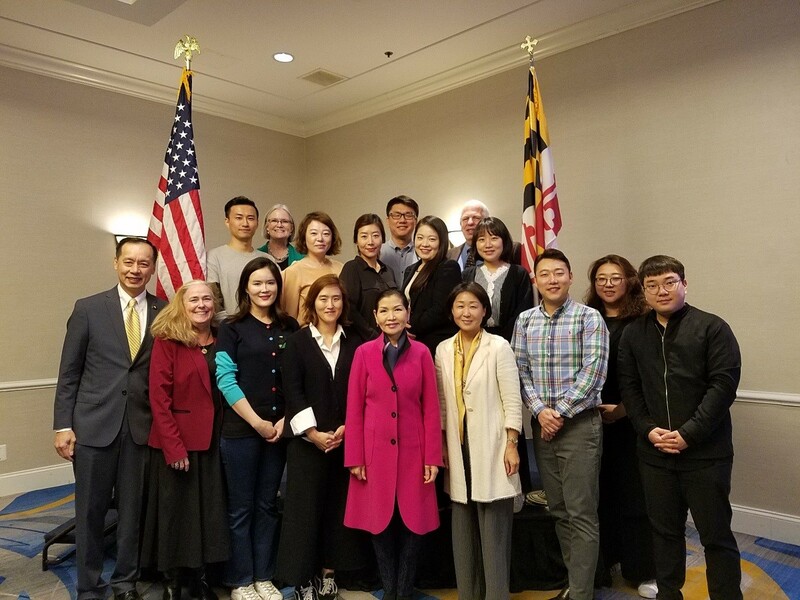 Journalists and tour professionals from Canada, the U.K., Ireland, Germany, France, China, and South Korea have toured Maryland over the past two months, as part of OTD’s mission to increase international travel to Maryland. 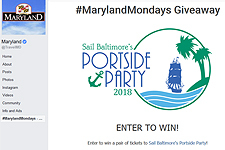 “These tours bring media influencers and travel professionals to Maryland for first-hand experiences that put Maryland’s unique tourism assets at the top of their minds,” said Liz Fitzsimmons, Managing Director, TFA. “The resulting first-person Maryland travel stories are an essential and powerful tool in selling Maryland travel.” FAM season begins again in the spring, with group tours already in the works for media from Canada and CRUSA’s four chief markets-- the U.K., France, Germany and China. Pictured: Deputy Secretary of Commerce Ben Wu and Liz Fitzsimmons, Managing Director, TFA, front row from left; and First Lady Yumi Hogan, front row, center, and tour operators from South Korea. 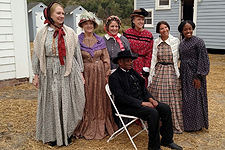 During late October, Los Angeles-based Aperture Films came to Maryland's Eastern Shore to film scenes for the Harriet Tubman Underground Railroad Visitor Center's orientation film, Harriet Tubman: Soldier for Freedom. The film will provide an overview of Harriet Tubman's life in enslavement, her self-liberation, rescue missions and accomplishments as an abolitionist and suffragette. 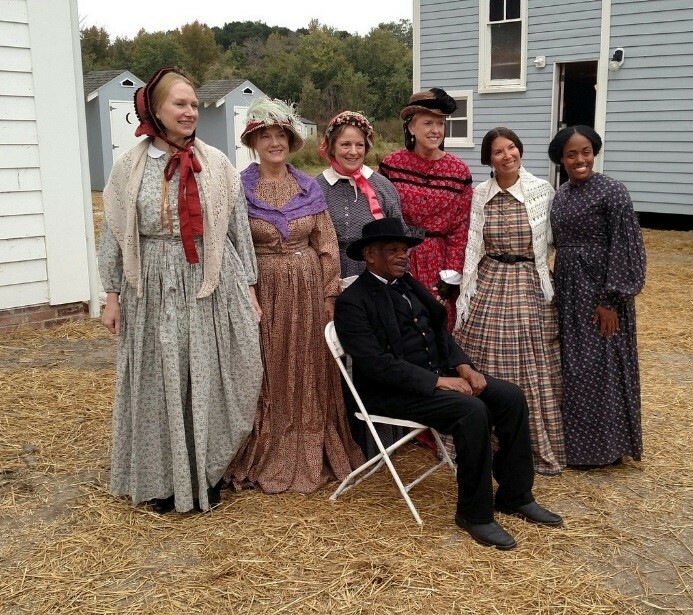 The film also orients viewers to the places where her life took place in Maryland and encourages people to travel the Harriet Tubman Underground Railroad Byway to learn more. The 12-minute film is planned to be released for viewing at the visitor center in late 2019. 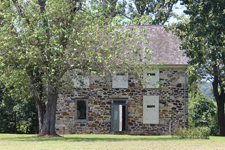 For more information on the Harriet Tubman Underground Railroad Visitor Center, go to our web site here. AMS Planning & Research, a national arts management consulting firm, has been engaged by the Maryland State Arts Council (MSAC) to assist in developing its next strategic plan. AMS is seeking community input to understand individual and organizational perceptions of MSAC, as well as needs and priorities that MSAC might address through its strategic plan. The survey takes just 5-7 minutes, and your answers can help the MSAC better serve Maryland. To take the survey, follow this link, and thanks in advance for your feedback. The Maryland Historical Trust is hosting workshops around the state for prospective applicants for the FY19 Capital Grant Program. This grant is a competitive funding program for construction projects on buildings or structures on, or eligible, for the Maryland Register. Attend a workshop to learn if your project is eligible and what is required for submitting an application. November 20, Chestertown Council Office in Chestertown, click here. November 28, Wicomico Public Library in Salisbury, click here. November 30, Urbana Regional Library in Frederick, click here. December 12, Community Place in Crownsville, click here. For questions, please contact Courtney Hotchkiss at 410-697-9514 or courtney.hotchkiss@maryland.gov. 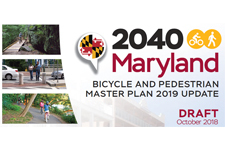 The Maryland Department of Transportation (MDOT) is pleased to provide MBPAC with the Draft 2040 Bicycle and Pedestrian Master Plan (BPMP). There is a one-month public comment period that ends on November 15, 2018. In order to provide comments on the plan, please fill out the form on the BPMP Update webpage or email BikePedPlanUpdate@mdot.state.md.us.